Limo Circle Line (formerly known as Seshir) was founded in 1987 in Israel. With a constant increase in business and a growing list of satisfied customers, we have gradually become one of the leading companies in shared transportation today. 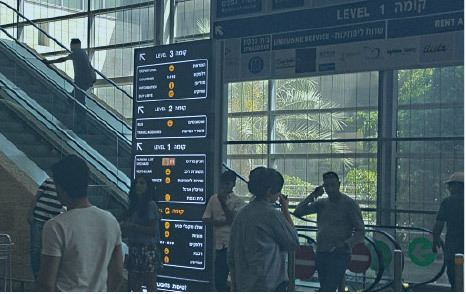 Whether serving individuals or groups for leisure or for business, we provide seamless shared transportation services from Ben Gurion airport to numerous hotels and destinations around the country and back. Our new management has taken the company one step further with a completely client-oriented service approach for today's modern traveler. 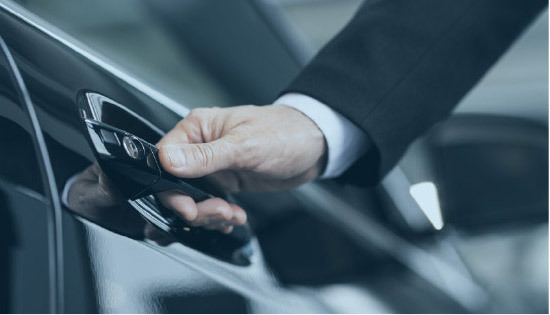 Since its inception, Limo Circle Line has aimed to provide services worthy of its clients - reliable, punctual, welcoming, comfortable, and competitive – nothing but the best. Our team consists of professional, experienced technical and safety managers, governed and controlled by the regulations of the Israeli ministry of transportation. English-speaking, highly qualified, well-trained drivers have been carefully chosen for their adherence to the highest of standards. Our proprietary software is designed specifically to monitor flight landing times and optimize transportation and shuttle times accordingly, so as to provide a well-panned, quick departure with no lengthy wait times. Our service is the only one on the market that sends you reminders for your departure pick-up times (based on flight departure times). As a long-time player in the industry, Limo Circle Line is affiliated with numerous hotels and incoming travel agencies from across the country. Services cover the country from Tiberius in the north through Haifa, Netanya, and Tel Aviv, all the way to Jerusalem in the east and the resorts of the Dead Sea in the south. We care about the environment and about the globe. In fact, for each individual assignment we go the extra mile to select the most appropriate vehicle. The meeting point for Limo Circle Line is located right at the arrival hall on the second floor. On your way out, just after going through baggage claim and customs, you enter the arrival hall. Take the escalator at the left side of the hall to the second floor and turn right. One of our drivers will be waiting for you there and will be taking you to your transportation. Assistance from airplane door to the car - We do it. Limo Circle line is one of the leading companies for shared transfers from airport to hotel and vice versa. For many years we give service to our clients, from all over the globe. Our office and front desk are located at the Ben-Gurion International Airport operating 24 hours a day.